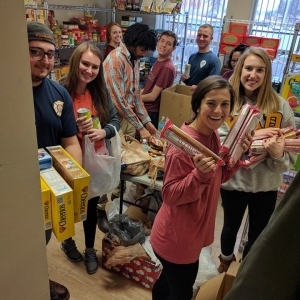 Family Weekend 2018 participants made wonderful contributions to the Colonel's Cupboard at the annual Family Fun Festival. Over 300 pounds of food was donated--this amount is twice the amount that was donated at Family Weekend 2017! The donations will directly serve EKU students experiencing food insecurity on EKU's campus.